On March 31 Ukraine chooses the Head of the State – first round of the presidential elections is held. In total, there are 39 candidates. Over 35,6 million voters were registered. The Central Election Commission has published the information about turnout. Over the first seven hours, 44,45% of voters have made their choice. As of 4 p.m. Kyiv time, most of the candidates have voted. The majority of the candidates voted in the capital of Ukraine. The current President of Ukraine Petro Poroshenko came to the polling station with his family. He also took his grandson and let him hold his ballot, the boy dropped and stepped on the document. Answering the question who Poroshenko voted for, the President answered with humor: “You have three guesses”. “These elections were rather democratic and had a unique experience of providing access to all the candidate to media,” Poroshenko said. “The weather is great, I am in a good mood, I have voted for peace and against war, against poverty and destruction,” he noted. The voting of Volodymy Zelensky caused quite a stir among the journalists – a great number of media representatives came to the polling station. Zelensky stated that he hoped for a new life. “Normal life, without corruption. Life in a new country – the country of a dream,” he noted. 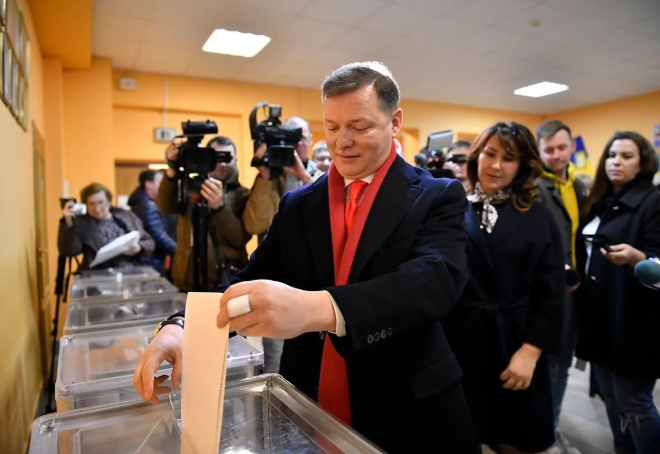 Oleg Lyashko, head of the Radical Party, who came to the polling station with his wife, violated electoral legislation. The presidential candidate showed his ballot to everyone and to the journalists. Such action contradicts with the Ukrainian Criminal Code. Ukraine’s Internal Ministry Promised to estimate Lyashko’s behavior. “I voted for less pigs among the authorities and more work for people, higher salaries, and normal life,” Lyashko explained. 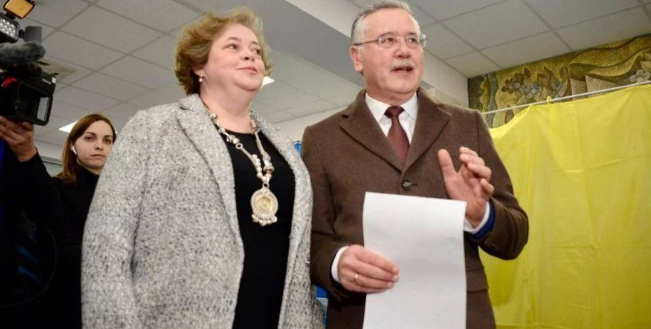 The head of “Civil Position” political party Anatoliy Hrytsenko, who came to the polling station with his wife, a famous journalist Yuliya Mostova, made his choice right away, unlike his wife, who did not find her name in the list. “My wife can’t vote because we have checked in the election register three days ago – her name was on the list. And now it’s not there. She has been living for 40 years in one house,” he said. Later, her name was found, and she voted.